I figured it would be the Pens game on Saturday, but tonight works too. So, if it's the leaked alternate for the Lightning, was it inspired by Thanos? 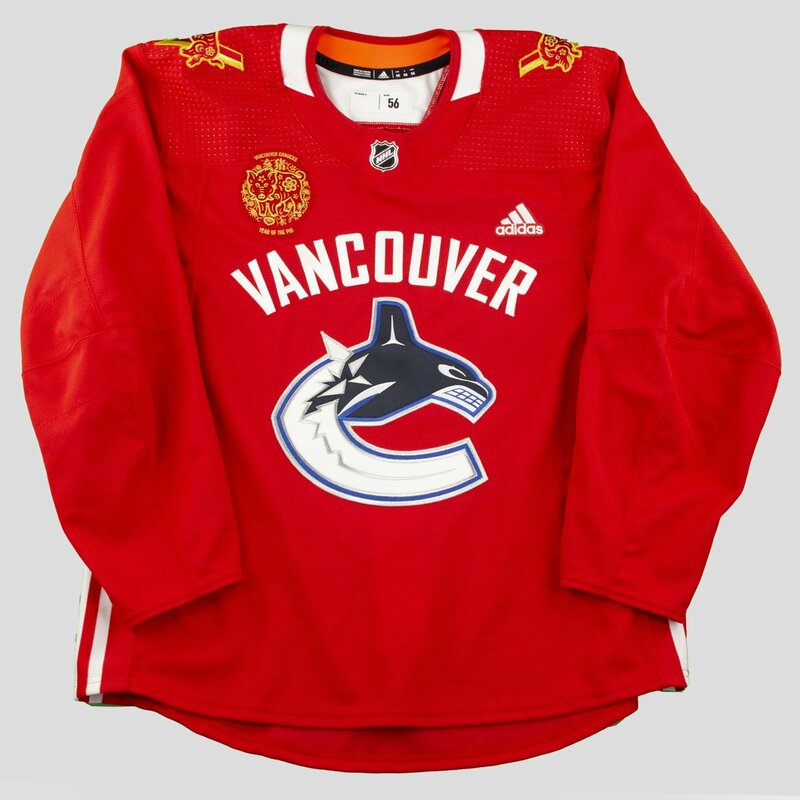 Once again, the Canucks will be wearing Lunar New Year warm ups, in honour of the Year of the Pig, for their game Feb. 11th. 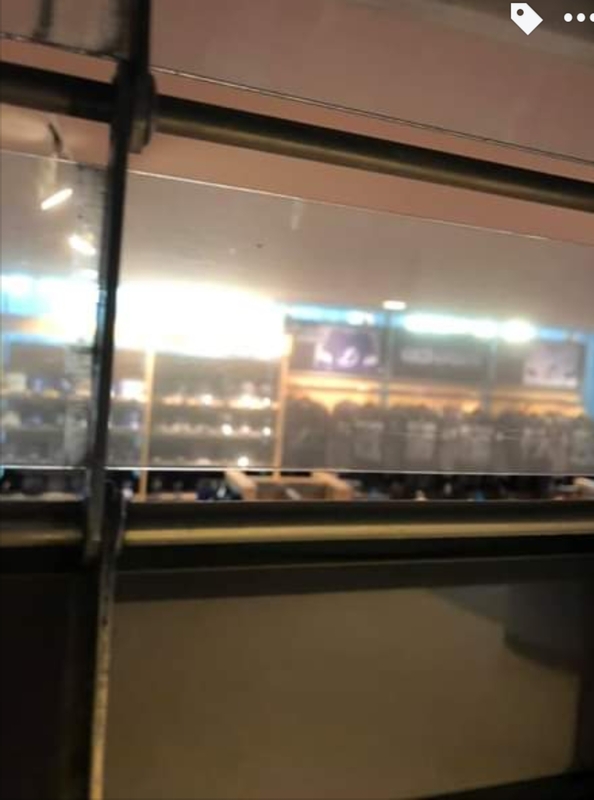 Yeah it’s pretty clear by the images we’ve seen that silver/gray will be the only color, just like the leaked image. I think that’s just diamond plate pattern and won’t be used on the actual uniform. 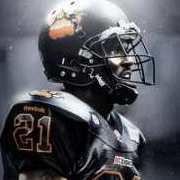 They'd have been better off just wearing practice jerseys and socks with the black pants. Those things always read like ad libs, just a mishmash of nouns and adjectives that come out making no sense. Today, we are all disappoint. Looks a bit better in these over-saturated shots. I dunno. It's weird and it's different and it's experimental, and yet the dark monochrome palette doesn't do enough to make it stand out. Remember this joke third jersey? This would actually be better than what they released. Man that’s a bad jersey. It looks like they just casually spray painted gray onto a practice jersey. 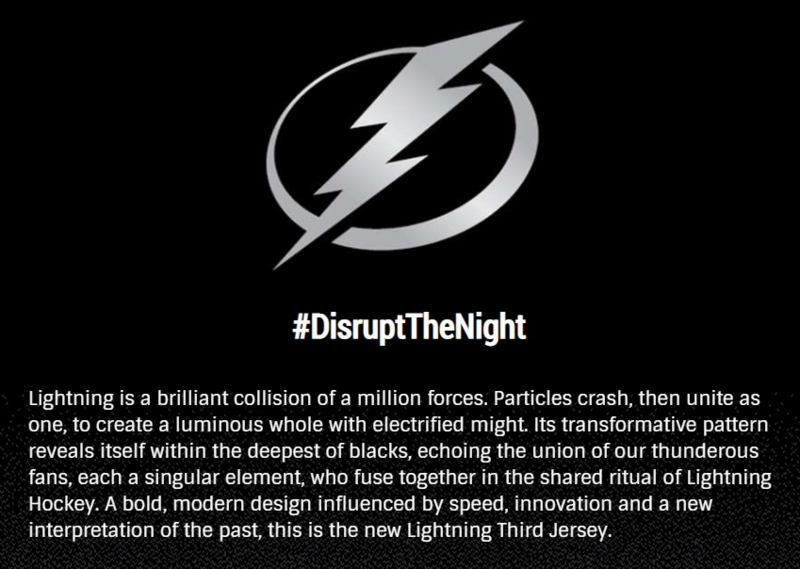 It looks like Adidas was inspired for the “disrupt the night” by all of nike’s terrible one-off college football uniforms.